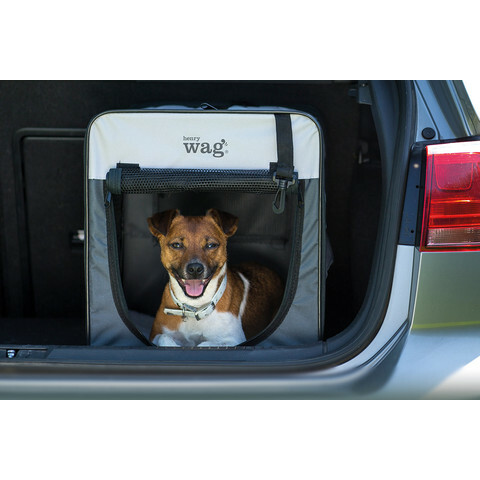 Brand new to the Kennelgate range are the Henry Wag Folding Fabric Travel Dog Crates suitable for puppies, kittens, small dogs, cats and small animals! 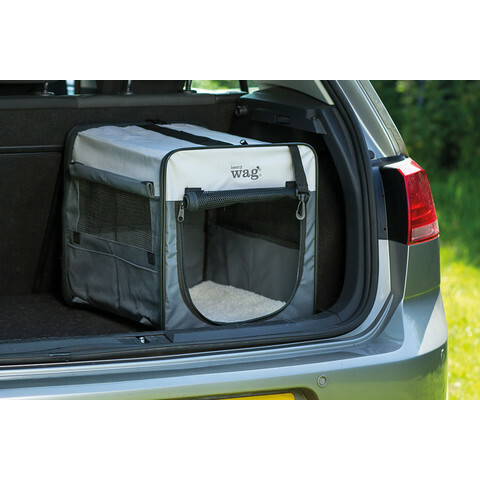 The soft crates are especially practical for travelling or trips to the vets, they are lightweight yet very durable. They are also ideal for camping trips! It has an easy zip assembly with fabric mesh window panels on 3 sides with flap covers and an inner washable floor panel with foam insulation. Each crate includes a faux Sheepskin/nylon pad, carry case and pegs to secure the crate to soft ground. 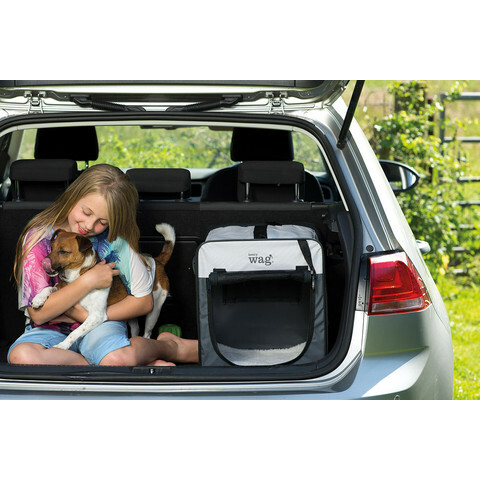 Please note that fabric dog crates are not suitable to dogs who have a tendency to chew or scratch. Available in 3 great sizes, the large sized fabric crate measures approximately 74cm L x 48cm W x 55cm H.